Press Release — March 23, 2015 (Louisville, KY) — M&M Cartage was recognized for leadership in the freight industry at the spring meeting of the Kentucky Clean Fuels Coalition. M&M Cartage has invested significantly in compressed natural gas vehicles and public infrastructure making them a leader in the state for the industry. 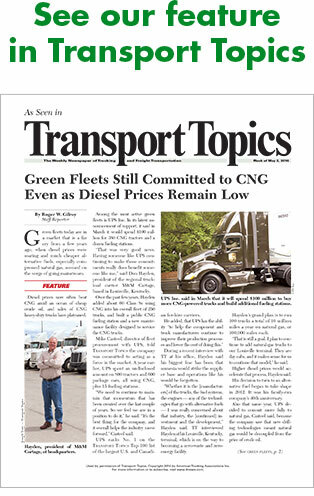 In 2014, M&M Cartage expanded their sustainability efforts by opening a public/private compressed natural gas refueling station, adding twenty CNG powered class 8 semi trucks to their fleet, and equipping trailers with “skirts” to improve their fuel economy. In addition to using compressed natural gas, M&M Cartage uses biodiesel in 157 class 8 semi trucks. M&M has a strict anti-idling policy which includes engine shut-off equipment that turns off the engine if idled over 12 minutes. 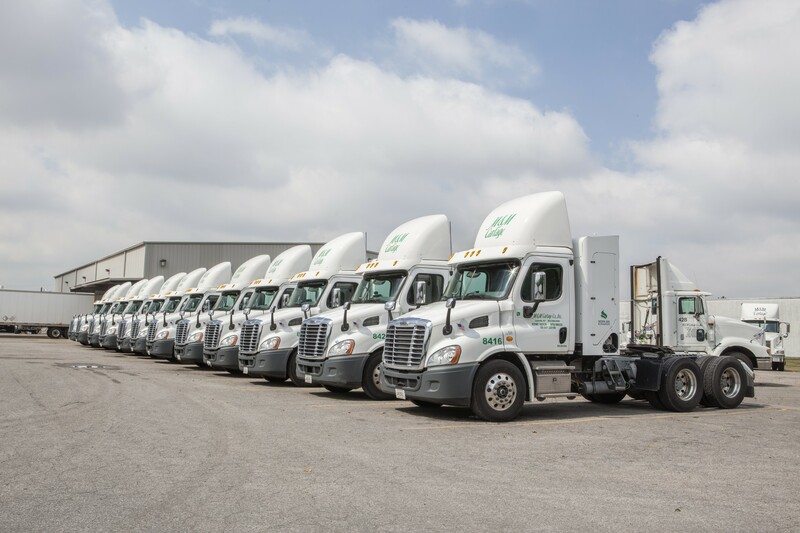 The Kentucky Clean Fuels Coalition (KCFC), through the Green Fleets of the Bluegrass Program, provides independent third-party verification of fleet performance. 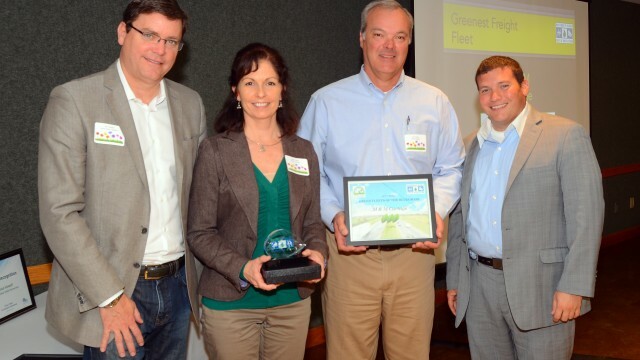 Green Fleets of the Bluegrass is a voluntary recognition program established in 2011. The program aims to improve the environmental performance of vehicle fleets across Kentucky by reducing petroleum fuel use. Fleets are recognized with an annual Green Fleets of the Bluegrass rating on a three-tier scale: one leaf- improving; two leaves- achieving; three leaves- leading. “Successful fleet operators today are achieving maximum productivity with minimum waste. Green Fleets of the Bluegrass is a tremendous tool that gives great assistance to fleets across Kentucky”, said Melissa Howell, Kentucky Clean Fuels Coalition Executive Director. The Kentucky Clean Fuels Coalition is a non – profit organization, established in 1993 to serve as an educational and industry resource for alternative fuels and advanced transportation technologies.